The impeachment of incumbent Philippine Chief Justice Renato Corona has commenced in the Philippine Senate, with the customary fanfare one would expect in Manila. Consistent with the circus-like atmosphere that has prevailed throughout the course of former President Arroyo's prosecution for alleged corruption and electoral manipulation while she was president, pro- and anti-Arroyo forces were out in force. The proceedings may ultimately become a commentary on whether the Rule of Law is taking substantial root in the Philippine judicial and political process, or whether pretensions to reform remain nothing more than political machinations dressed up in the emperor's new clothes. Depending on one's viewpoint, Corona's impeachment may prove to be the crowning achievement of the so-called 'Davide Watch' -- the eponymous description given to the vision of former Chief Justice of the Philippines Hilario G. Davide Jr. (1998 to 2005) who, during his stewardship, envisioned and promoted "a judiciary that was independent, effective and efficient, worthy of public trust and confidence." On the other hand, a conviction could in fact point to Davide's failure to inspire fundamental and normative change in judicial culture. Much will depend on the aftertaste left by the process of the impeachment itself. If recent media reports are anything to go by, however, the World Bank may be changing its tune. Some sectors of the media seem intent on laying the blame for this debacle squarely at Corona's feet. On January 15, 2011, a report in the Philippine Daily Inquirer pronounced that 'the Supreme Court, under the watch of Chief Justice Renato Corona, has been weighed and found wanting.' This pronouncement is based ostensibly on a World Bank finding of questionable procurements and disbursements in the high court in connection with the Judicial Reform Support Project (JRSP), the World Bank's adaptation of the name of the APJR, designed to restore efficiency in the dispensation of justice in the country. Amidst accusations by Corona's attorneys against the media and others of 'black propaganda.' one has reason to question Sunday's pronouncements and the media's agenda, if the Philippine Daily Inquirer is an example to go by. Could this be symptomatic of 'extra-judicial' attempts to prejudice the hearing of the complaint against Corona? It has been reported that an audit was conducted by a World Bank task team in October and November 2011, which found that 'since Corona assumed his post in mid-2010, progress in reforming the judiciary "has been rated unsatisfactory," with "implementation delays and additional work required for smooth project closing." Other World Bank complaints include the fact that the fiduciary environment pertaining to JRSP implementation had so deteriorated that the task team now rates the JRSP as 'high risk' and 'unsatisfactory' on project management, project procurement and financial management dimensions -- and that project financial statements can no longer be relied upon. The audit is said to have also uncovered "inaccurate/incomplete information" on the project's financial management report and "diminished existing internal check-and-balance mechanisms." Corona is specifically fingered for his appointment of one individual as court administrator, head of the Public Information Office, and chair of the Bids and Awards Committee leading to a diminished internal auditing mechanism. No other specific allegation is made against him in the media report, perhaps with good reason, since delays in the project clearly started before Corona took office. While the buck stops with the man in charge, any insinuation in the media report that Corona is to be held responsible solely or mainly for the breaches in the program may be premature, at best, and possible propaganda. What of the Program Management Office and other players in the program? What of the role of individual justices who claimed for and/or received ineligible disbursements? Surely, all knowing and willing participants in the alleged abuse of the program are individually and equally culpable, irrespective of administrative weaknesses. When a former president and a Chief Justice of the Supreme Court can be hauled into court for alleged abuses, the Rule of Law is surely alive. The question is, is it well? Will the prosecution of both Arroyo and Corona result in convictions and meaningful sentences? One must guard against overzealousness in expecting too much from a process that is politically charged. The Rule of Law may be of little significance where an impeachment, which many argue ought to be akin to a judicial process, takes place in an otherwise political tribunal. The legislative branch is not well rehearsed in processes meant to guarantee fairness in a trial, and with political interests which may be averse to such a process. Where political motives and loyalties inherent in a legislative chamber creep into the process, rightly or wrongly, the impeachment process may prove to be a juridical farce and political circus. Any result, conviction or acquittal, will therefore be suspect. The integrity of the process through which Corona is impeached will be a litmus test as to Davide's overall achievement in advancing the constitutional learning of the Rule of Law. Moreover, it will be the ultimate test as to whether the Philippine legislative and political process deserves the right to say it has overcome its tainted and regrettable past. 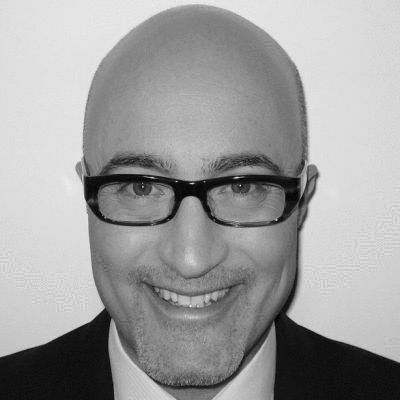 *Daniel Wagner is CEO of Country Risk Solutions, a cross-border risk management consultancy based in Connecticut (USA), Director of Global Strategy with the PRS Group, and author of the forthcoming book, Managing Country Risk (March 2012). 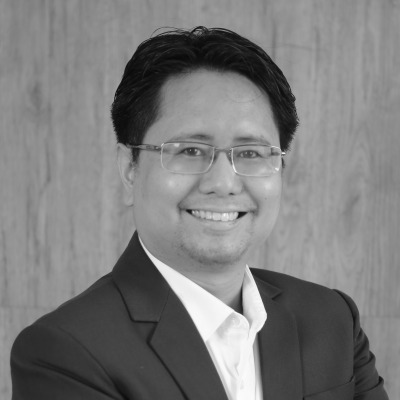 Edsel Tupaz is founder and managing partner of Tupaz and Associates, and a professor of international and comparative law, based in Manila. Jermaine C. Spence is an attorney-at-law and law professor who designed and taught the Offshore Finance Law course at Fordham Law School.